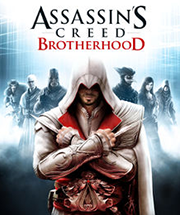 This Assassin's Creed: Brotherhood cinematic trailer debuted at E3 2010. And it's a hard cinematic to forget with its vivid imagery of white in a sea of scarlett. It is a true gem from the legendary Digic Pictures.